Alongside the release of Destiny’s first expansion, The Dark Below, Sony players will also receive a timed exclusive in the form of a strike called The Undying Mind. In it, up to three Guardians can team up to take down another Vex boss, alongside his many, many minions. While featuring several interesting enemy types and a difficult boss in the Undying Mind, players already with Destiny’s previous strikes know what to expect. You’ll have to fight through several waves of increasingly tough enemies, culminating in a showdown with the titular baddie, who totes several large cannons and a rotating shield, forcing Guardians to shoot through the gaps to damage the Undying Mind. 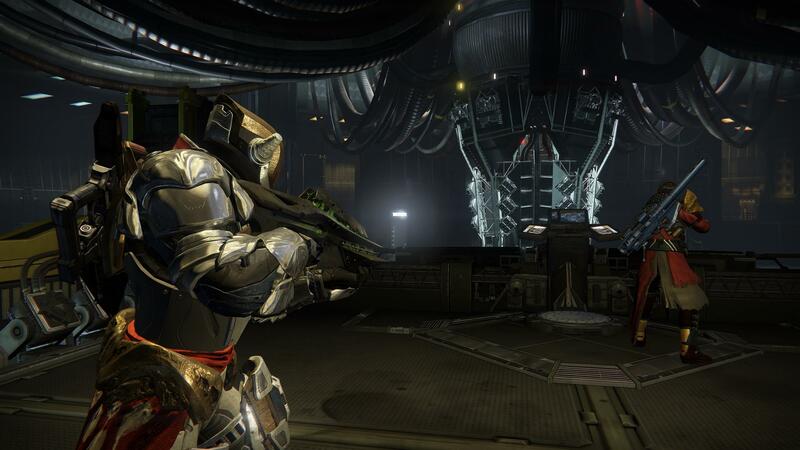 Plenty of new weapons, strikes and raids await Destiny’s faithful in The Dark Below. Also featured at the demo we played were several new weapons, including the Murmur and a new Exotic Rocket Launcher called Dragon’s Breath. Murmur is a fusion rifle and the first weapon to feature a choice in damage, between solar and arc. The Dragon’s Breath is a brutal solar rocket launcher featuring an upgrade that leaves a damaging solar field at each rocket’s point of impact. The Dark Below drops Tuesday, December 9 for all platforms, with The Undying Mind as a timed exclusive until fall 2015.